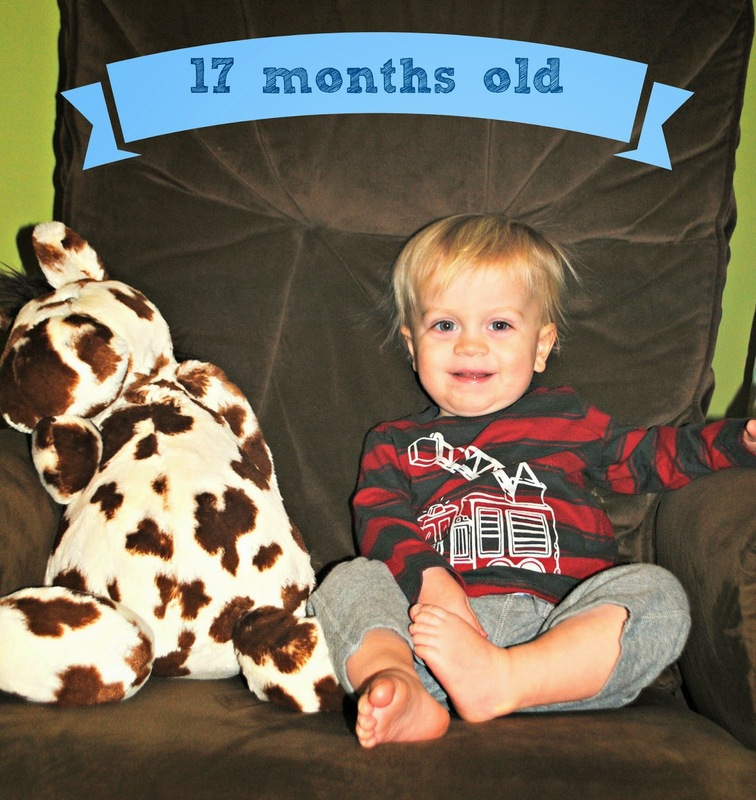 Moments with the Mays: Griff is 17 months old! Griff is 17 months old! Griffin, you are now 17 months old! We're a little late, but we will just pretend it was because you were sick & not because your mama kept forgetting to take your pictures. Forgive me? Weight: 21.10lbs...you have finally grown! Height: no idea, but you have grown some because some of your longalls are finally too short! Clothing: Mostly all 12 month clothes, although some things are getting too short. However, your 18 month clothes are still WAY too big. -He's talking a good bit more. Saying: see it, bebe (baby), yep, ew, go, hey, Gu (still for Gutter Cat-haha), & Mimi. -He shakes his head "no" now. This has been super helpful recently. Bring on the communication! -Griff LOVES music and loves to dance. He is obsessed with The Hot Dog Song on Mickey Mouse Clubhouse and dances to it every morning. -Still very much obsessed with the paci. He has like 5 in his crib at all times and is so finicky about which one he wants to use. If we are playing upstairs he will walk to his crib and switch them out. So odd! -Griffin LOVES books and would be perfectly content reading all day long. He loves to sit in my lap and read during the day. -Starting to imitate animal sounds. I give all the credit to the Peekaboo Barn app. He is obsessed. -Can point to his belly, nose, eyes, ears, & mouth. -attempting to use utensils. You feel like a big boy! Griffin, you are definitely becoming our little spitfire. You have such a huge personality for such a tiny little guy. You may be the most strong-willed little toddler, but you are still so snuggly. I love that about you! Griff, you are really starting to grow up and are becoming a little boy before our eyes. It is so much fun watching you learn new things every day. You are such a sweet & funny little boy. 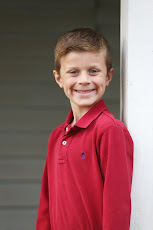 We love you, sweet Griffin! He's so very cute! Can't believe he's 17 months old!